1 starts the offense when everybody has taken his position by calling "Go"
When 1 calls "Go" 2 and 3 cut to the side line, but stay 1 meter away from the sideline. 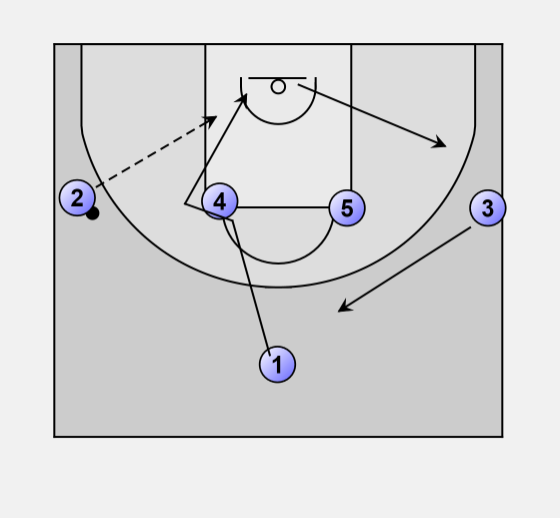 4 and 5 cut to the free throw line, so that a 1-4 alignment is created. 4 and 5 should show their hands high, so that they can receive a pass from 1. If 4 and 5 cannot receive a pass, the ball goes to 2 or 3. 2 and 3 must keep cutting to get free. 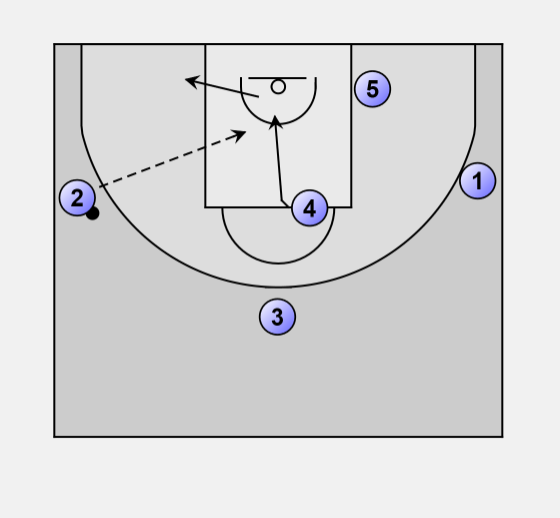 After the pass to 2, 1 cuts over the screen of 4 and if possible receives the ball from 2. 3 takes the place of 1 and becomes the safety. If 1 doesn't get the ball he takes the place of 3. If 1 didn't receive the ball, 4 sets a screen on the defender of 5. 5 cuts over the screen and if free receives the ball from 2. 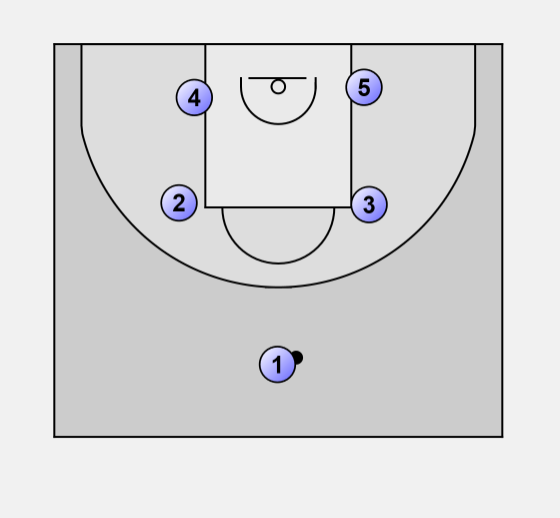 In case 5 didn't receive the ball the goes to the low post on the non-ball side. If 5 doesn't get the ball. After the screen 4 rolls to the ball and then the to basket. If free 4 receives the ball. If 4 doesn't receive the ball he goes to the low post of the ball side. If none of the options worked the ball goes to 3 and we are in starting positions to restart the offense.